Used 2017 Chevrolet Colorado 2WD Z71 for Sale in Wiggins MS 39577 Butch Oustalet INC.
CARFAX One-Owner. Clean CARFAX. Red Tintcoat 2017 Chevrolet Colorado Z71 RWD 8-Speed Automatic V6 *CLEAN CARFAX*, *LEATHER*, *ONE OWNER*, Back up Camera, 4-Way Power Front Passenger Seat Adjuster, 6-Speaker Audio System Feature, All-Weather Floor Liner (LPO), Driver 4-Way Power Seat Adjuster, Emergency communication system, Exterior Parking Camera Rear, Heated Driver & Front Passenger Seats, Heavy-Duty Trailering Package, Integrated Trailer Brake Controller, Power driver seat, Preferred Equipment Group 2Z7, Premium audio system: Chevrolet MyLink, Radio: AM/FM Stereo w/8" Diagonal Color Touch Screen, Remote keyless entry, Security system, SiriusXM Satellite Radio, Steering wheel mounted audio controls, Tow/Haul Mode. 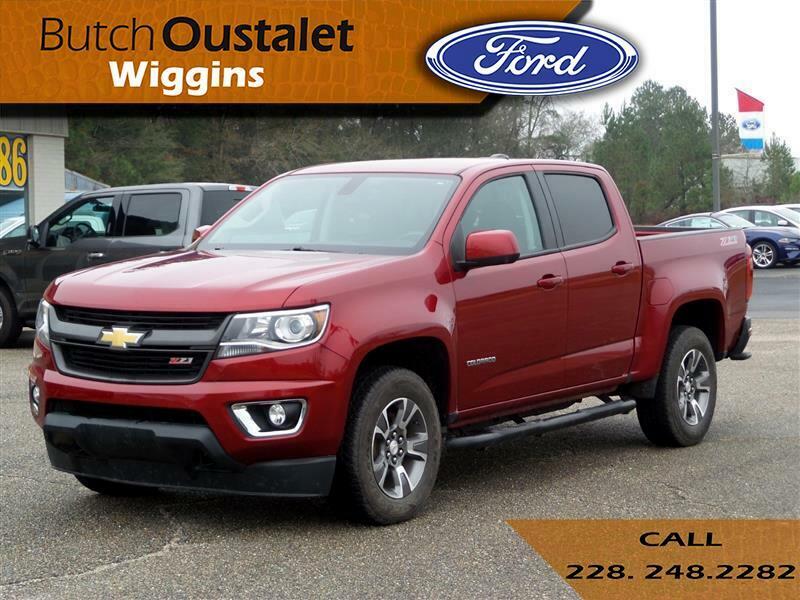 Visit Butch Oustalet INC. online at www.butchoustaletwiggins.com to see more pictures of this vehicle or call us at 228-248-2282 today to schedule your test drive.